I finally was able to finish this baby sweater. It took a lot more yarn and time than I expected. 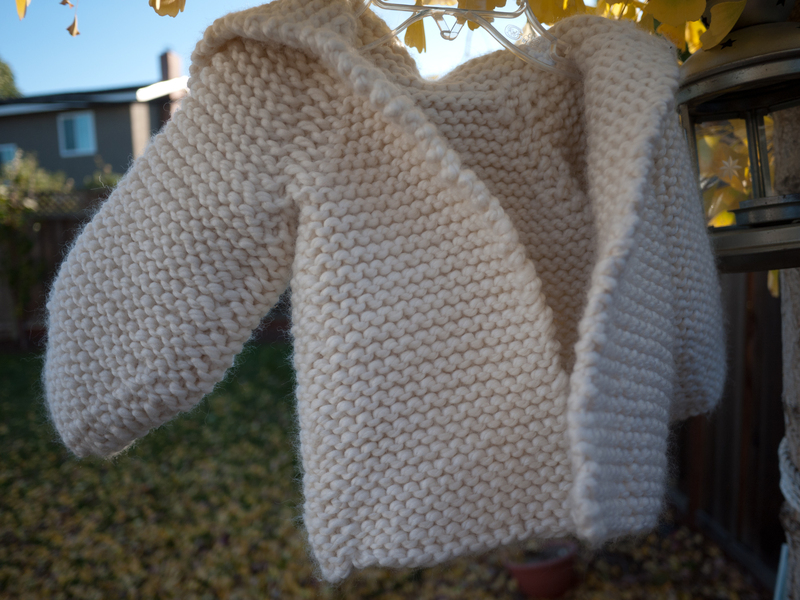 I used the same yarn as my vintage sweater, and even though this one is for 18 month only, it took 3.5 balls, half of what it took for mine!! I guess next time i would be more aware of the kind of stitch and needle size when choosing quick projects. Pattern was free from lion brand, and because the yarn I used was too “neat”, it didnt look like animal fur. so instead of two ears I attached a cute yarn ball. I need to fix the stitches used to join the sleeves and the bodice together, as it seems a little too tight and none elastic. Also need to figure out how to attach a zipper in the front. I made the 18 month sweater expecting her to wear it sometimes in the fall next year when she’s 12 month. Currently she’s only 5 weeks, but she’s almost out grown her 3 month jamies and is wearing some 6 month ones. Scary! 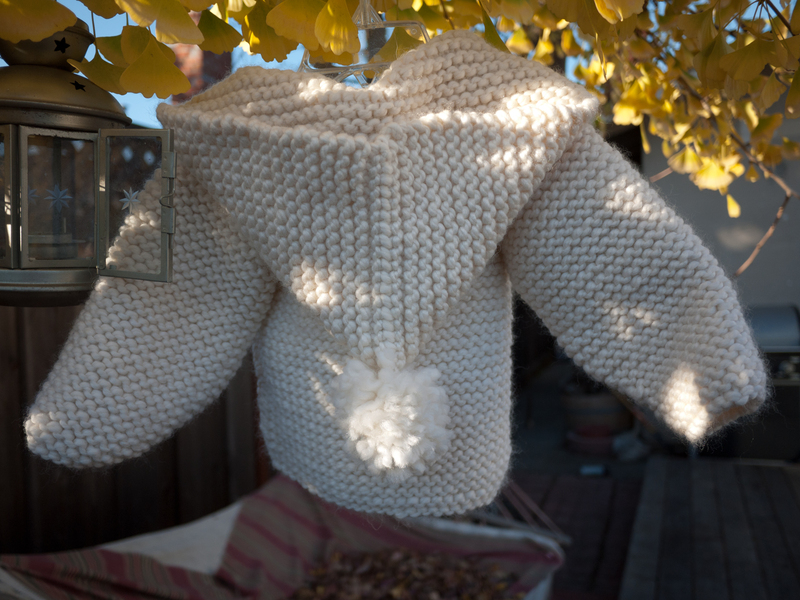 This entry was posted on Thursday, December 1st, 2011 at 3:44 pm	and posted in finished pieces, knitting. You can follow any responses to this entry through the RSS 2.0 feed.